Conventional mixing wisdom states that when panning elements in a mix, you’re free to utilize the entire left-to-right spectrum. 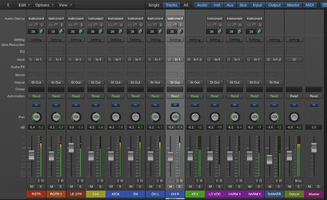 With the exception of elements like kick, snare, bass and lead vocal that are generally are panned to the center, tracks can be placed anywhere in the left-right panorama. But there’s a different panning strategy, referred to as LCR (left-right-center) that turns the conventional approach on its head by restricting all track panning to either hard left, hard right or dead center. A lot of pro engineers are using it very successfully. 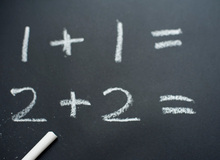 LCR mixing offers a number of benefits. It simplifies the mixing process, as your panning options are more limited. It emphasizes your lead vocal track, which will be one of the few elements sitting directly in the center. And perhaps most importantly, it can open your mix up and make it less cluttered, because there’s less audio energy in large swaths of the left-right spectrum. It can also add excitement to your mix. For example, instead of a lead guitar that’s panned a little bit off center, you would pan it either directly to center, or hard left or hard right, and that extreme positioning can be more dramatic for the listener. People are skeptical about it, and some actively dislike the LCR concept, if recording forums are any indication. I was a doubter myself when I first heard about it. But I tried it and have found it to be a really useful technique. I was working on a project with some relatively large mixes — between 30 and 40 tracks per song — and when I started to apply the LCR principles, everything seemed to open up a great deal. There was some room for the mix to breathe, rather than it being a wall of sound. And don’t forget, there’s still information in those in-between portions, just not as much as in a standard-panned mix. So how do you change your approach when panning LCR? It does require that you utilize your EQ skills more in order to carve out niches for elements sharing the same panning position. Cutting unnecessary frequencies for instruments or voices helps in that regard. For instance, use high-pass filtering to get rid of low frequencies that are adding clutter. Like with a conventional panning strategy, kick, snare, bass and lead vocals or featured instruments should be panned up the middle in an LCR mix. 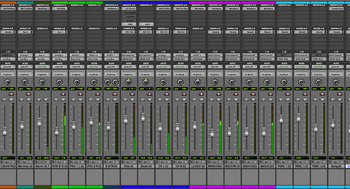 Stereo recorded track pairs and other stereo tracks should be panned hard left and right (on most DAWs, achieving the latter means leaving the pan pot for a stereo track at 12 o'clock. 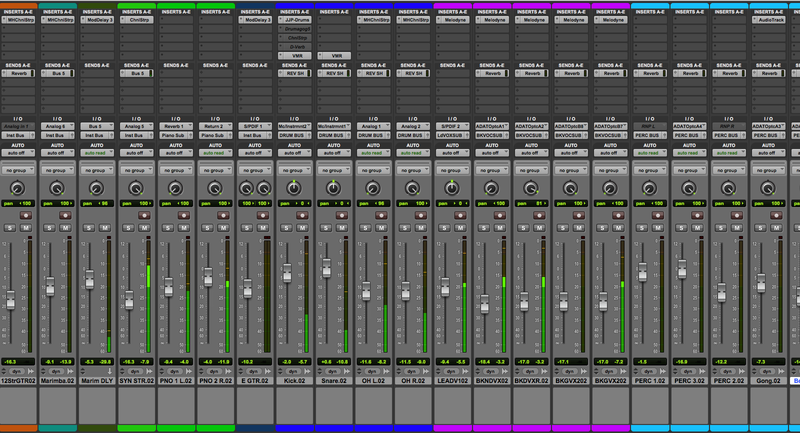 Pro Tools is different, with separate left and right pan knobs for stereo tracks). You could choose to pan a stereo track all the way to one side or the other, if it sounds good, although you'll lose it's stereo effect. Any other mono tracks should be placed hard to either side, and you should try to achieve a rough balance, level wise, between left and right. 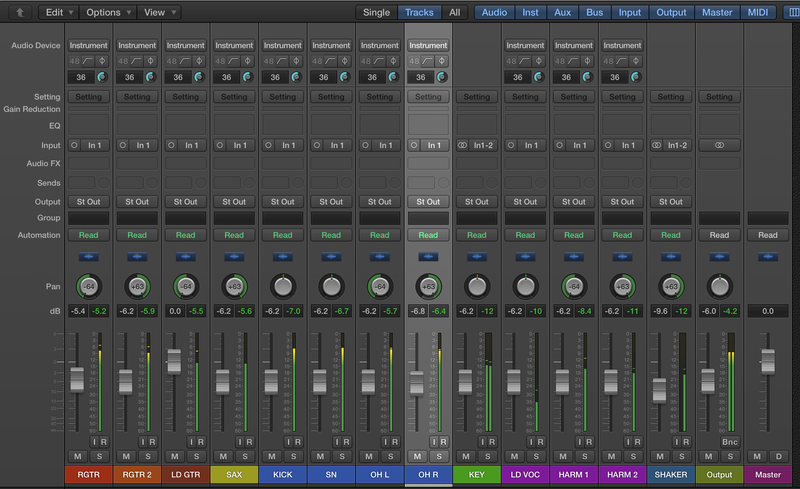 As an example, I’ve included a screen shot that shows you a session in Logic Pro X with LCR panning. There are four drum tracks. The kick and snare are panned to the center, while the overheads (which were recorded as a stereo pair) are panned left and right. The lead vocal is up the middle, and the two harmony vocal tracks are panned left and right. The keyboard, also a stereo pair is also panned hard left and right. The mono lead guitar track is panned left (although I could have put it in the center or all the way to the right), the two mono rhythm guitars are panned left and right and the shaker is panned all the way right. Not every project will sound better as an LCR mix. It depends on the content of the session. In my experience, the technique works better on full-band arrangements, as opposed to a very small ensemble. However, it’s really a case-by-case decision. Think of LCR panning as another tool in your mixing arsenal. You might end up using it a lot, or maybe just occasionally. I think that’s fine, although for consistency, if you’re doing an album or EP or other multi-song project, you probably should either use it or not, rather than changing your approach from track to track. Some people find LCR to be a revelation, while others don’t care for it. In any case it’s worth giving a try. Who knows, you might just be blown away.